Critics have attacked the foolishness of some of today’s elite thought from many angles, but few have examined the real-world consequences of those ideas. 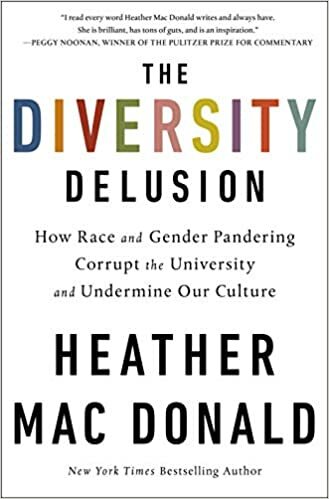 In The Burden of Bad Ideas, Heather Mac Donald reports on their disastrous effects throughout our society. At a Brooklyn high school, students perfect their graffiti skills for academic credit. An Ivy League law professor urges blacks to steal from their employers. Washington bureaucrats regard theft by drug addicts as evidence of disability, thereby justifying benefits. Public health officials argue that racism and sexism cause women to get AIDS. America’s premier monument to knowledge, the Smithsonian Institution, portrays science as white man’s religion. 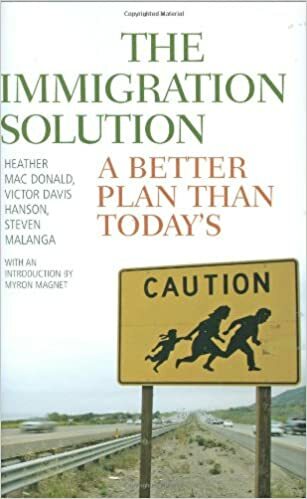 Such absurdities, Ms. Mac Donald argues, grow out of a powerful set of ideas that have governed our public policy for decades, the product of university faculties and a professional elite who are convinced that America is a deeply unjust society. And while these beliefs have damaged the nation as a whole, she observes, they have hit the poor especially hard. Her reports trace the transformation of influential opinion-makers (such as the New York Times) and large philanthropic foundations from confident advocates of individual responsibility, opportunity, and learning into apologists for the welfare state. 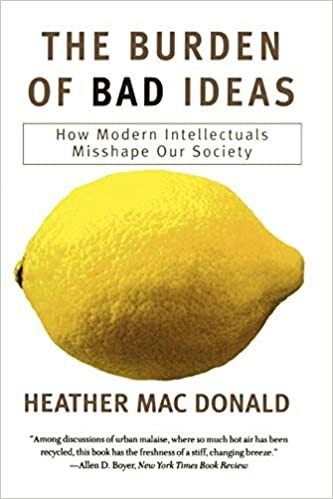 In a series of closely reported stories from the streets of New York to the seats of intellectual power, The Burden of Bad Ideas reveals an upside-down world and how it got that way. False charges of racial profiling threaten to obliterate the crime-fighting gains of the last decade, especially in America’s inner cities. 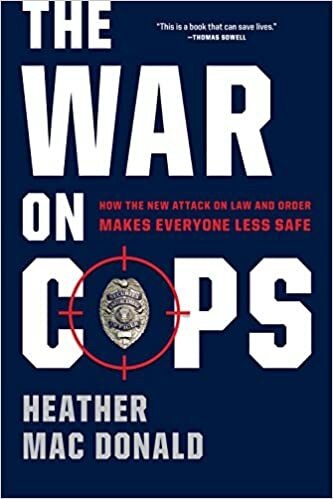 This is the message of Heather Mac Donald’s new book, in which she brings her special brand of tough and honest journalism to the current war against the police. The anti-profiling crusade, she charges, thrives on an ignorance of policing and a willful blindness to the demographics of crime. In careful reports from New York and other major cities across the country, Ms. Mac Donald investigates the workings of the police, the controversy over racial profiling, and the anti-profiling lobby’s harmful effects on black Americans. The reduction in urban crime, one of the nation’s signal policy successes of the 1990s, has benefited black communities even more dramatically than white neighborhoods, she shows. By policing inner cities actively after long neglect, cops have allowed business and civil society to flourish there once more. But attacks on police, centering on false charges of police racism and racial profiling, and spearheaded by activists, the press, and even the Justice Department, have slowed the success and threaten to reverse it. 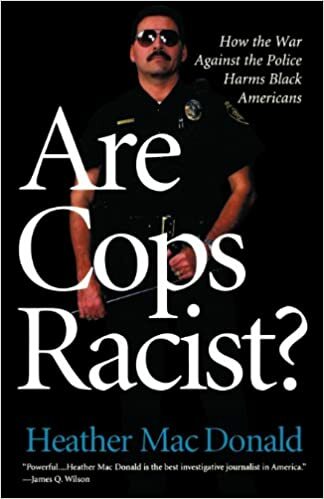 Ms. Mac Donald looks at the reality behind the allegations and writes about the black cops you never heard about, the press coverage of policing, and policing strategies across the country. Her iconoclastic findings demolish the prevailing anti-cop orthodoxy.